To the outside world, Tom Pryne is an orphan traveling Elizabethan England with his uncle’s theater troupe. In actuality, “Tom” is Viola, in disguise because her parents’ Catholic sympathies have put them at odds with the law and forced them into hiding. When the actors arrive in the sleepy little town of Stratford-on-Avon, Viola’s uncle is arrested for murder, and she joins forces with Will Shakespeare, a local boy with a penchant for trouble and a smart turn of phrase, to uncover the real culprit. Bailey MacDonald is a professional actress and playwright who lives near Atlanta, Georgia. When she is not writing, she performs under a different name with a theater group in that city. 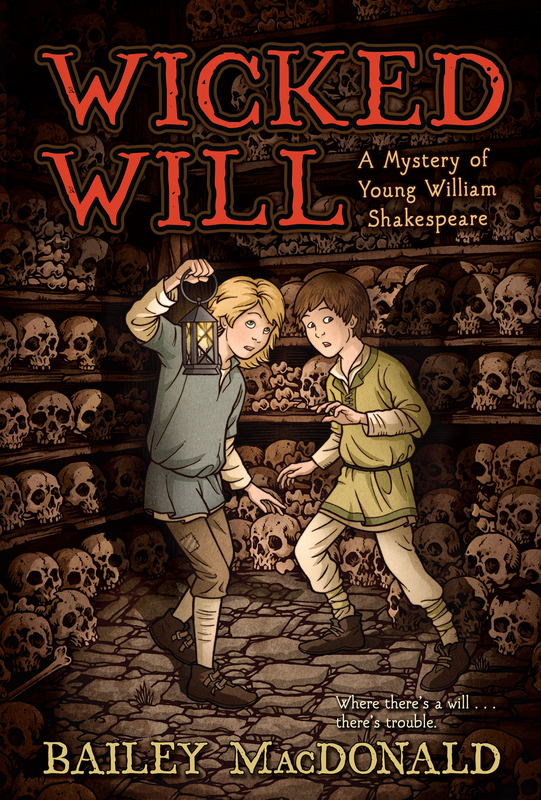 Bailey has always loved theater, and when she began to write her first historical mystery, it was a natural choice to select Stratford-on-Avon, the home of the great William Shakespeare, as the setting for a tale of trickery, murder, and detective work.